This ergonomic wireless mouse was created specifically to reduce wrist strain and fatigue, as well as to prevent joint and tendon discomfort. Its design allows the hand to rest at a 45-degree angle, which is a more natural angle. Basically, this means that if your job requires a lot of typing, using this might help reduce your chance of developing related complications, and if you’re an avid gamer, you can play for longer periods of time before your hand gets too fatigued to continue. Personally, I don’t type as much as I used to, and I currently use a laptop with a mouse pad more often than not. However, my son plays a lot of online games and prefers to use a wireless mouse for better performance. I know he’ll appreciate the MW 4500 Wireless Mouse’s ergonomic design since I’ve heard him complain about his hand getting tired after a while. Some additional features of the CHERRY Ergonomic MW 4500 Wireless Mouse include an abrasion-resistant surface, a scroll wheel, two side buttons, an infrared sensor, nano receiver, and battery status indicator. 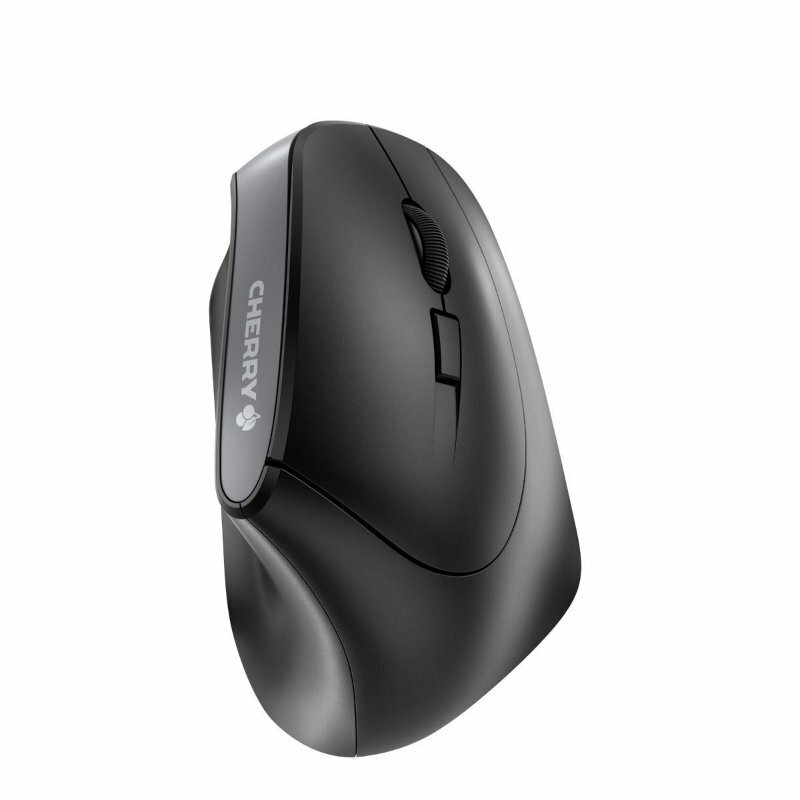 For even more details about it, check out their website at www.cherryamericas.com, or the specific product page for the Ergonomic MW 4500 Wireless Mouse. I’m forever on the computer….